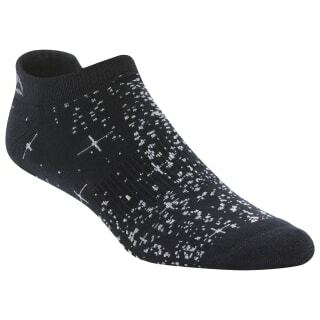 The anti-slip print on these women's socks helps keep them in place inside your shoes as you run, jump and climb. They're built in a no-show length with stretchy cotton-blend yarn. Support at the arch offers long-lasting comfort.